Is your water heater on the fritz? Have repairs become too costly? Say goodbye to your underperforming model and check out Provincial Heating & Cooling’s water heater sales in Winnipeg! We offer a wide variety of new, cutting edge water heaters from reputable name brands. Not only do we sell great products, we back them with a friendly and knowledgeable sales staff that will help you choose a model that meets your exact needs and budget. Replacing your water heater is a significant investment and you may be wondering when you should consider a replacement. Keep reading to learn more about the telltale signs your existing unit should be put out to pasture. It’s Old – As your water heater ages, it becomes more susceptible to breaking down. The average tank water heater has a lifespan of 8 – 10 years, and will need to be replaced once it has outlived its prime. Rust and Corrosion – The majority of hot water heaters are made of steel, and will eventually show signs of rusting. However, if you have noticed rust in the water from the tap, near the pressure relief valve or in the inlet/outlet connections, it’s a dead giveaway that you need to replace your unit! The Tank is Leaking – Any time a tank leaks, the culprit is typically an internal issue which is rarely repairable. However, you need to be sure that the leak is originating from within the tank, rather than from an external source. 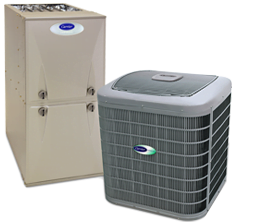 While it’s unfortunate and stressful to learn that your water tank needs to be replaced, you can rest assured knowing we have a wide selection of new water heater units in Winnipeg in the exact capacity you need. If you have questions about conventional gas water heaters, electric options or even tankless varieties, our informed staff can answer them for you. You can get started today by booking an appointment. Simply visit our contact page to find our phone number, address and other useful information. Just wanted to say thank you for doing an excellent job installing our new high efficient furnace. My wife and I were very impressed with the professionalism and courtesy shown by your technicians. They did a wonderful job with a very neat and tidy result. We won’t hesitate to refer you to others requiring the services your fine company provides. Thank You!